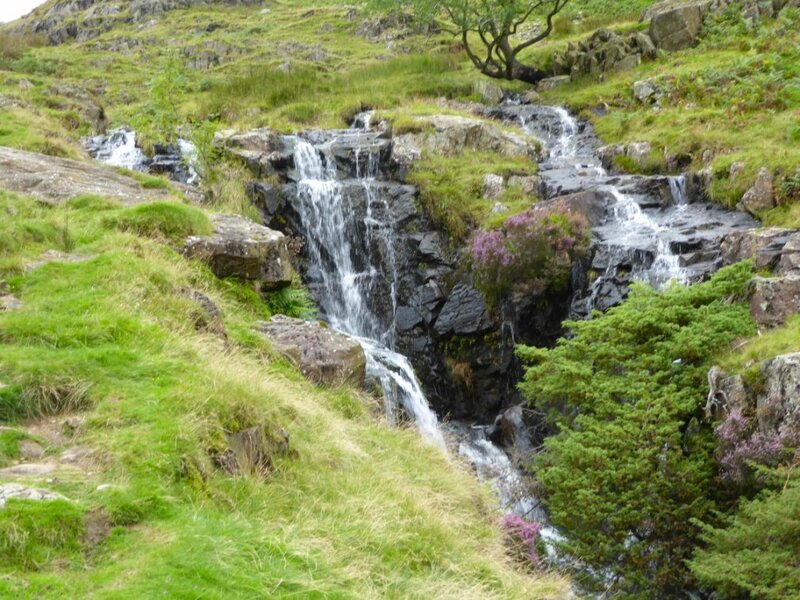 Looking back I realised that I'd only walked down Far Easedale once and that was almost exactly 10 years ago so another visit was well overdue. 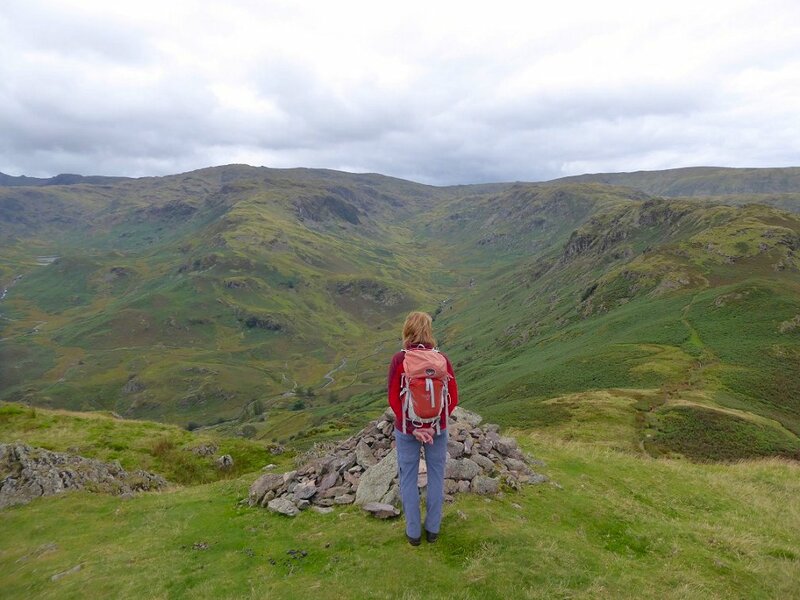 Sue has been fighting off a nasty chest infection so didn't want too long a walk so a round along the Helm Crag ridge fit the bill. 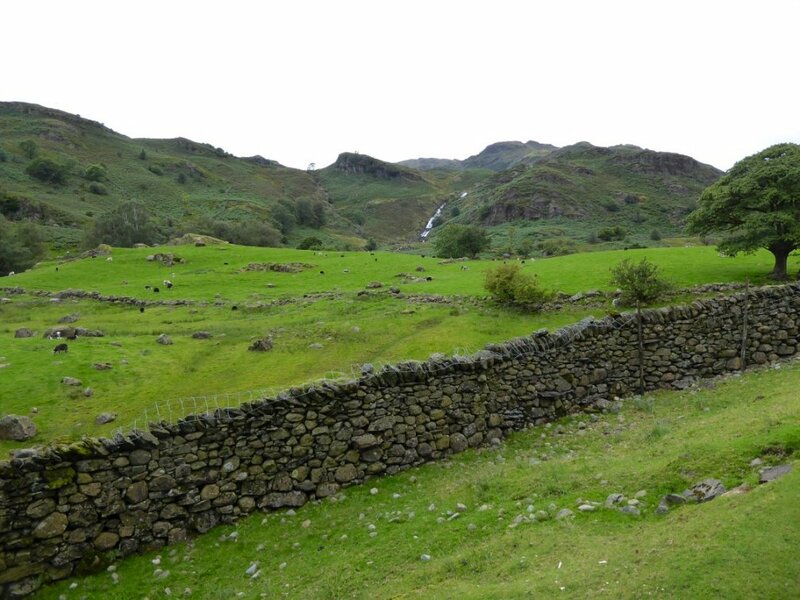 No rain was forecast but it was a bit of a dull day with only fleeting sunshine. 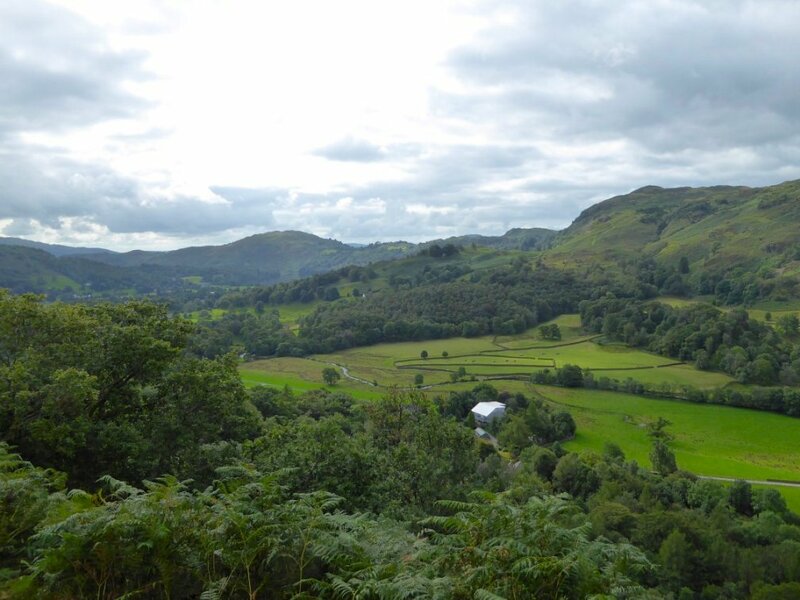 Our first fell, Helm crag is seen over the A591. 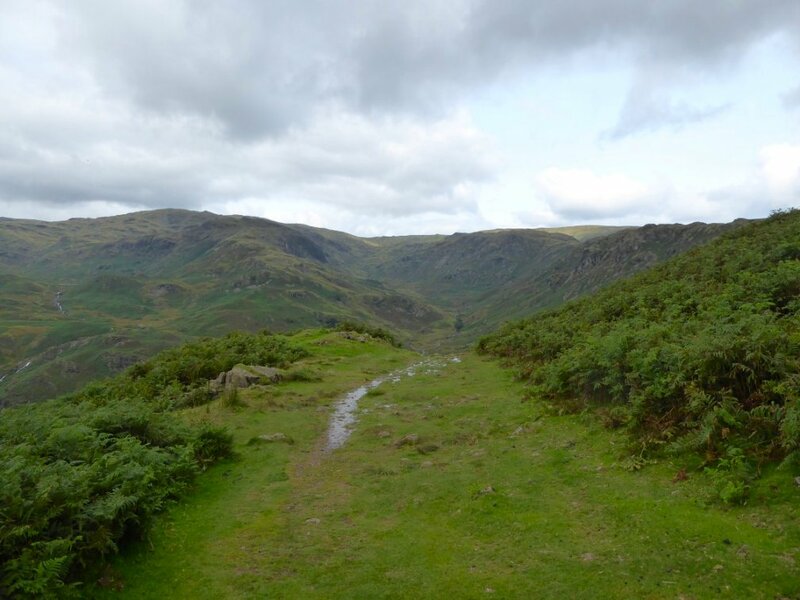 Silver How on the right from the climb to Helm Crag. 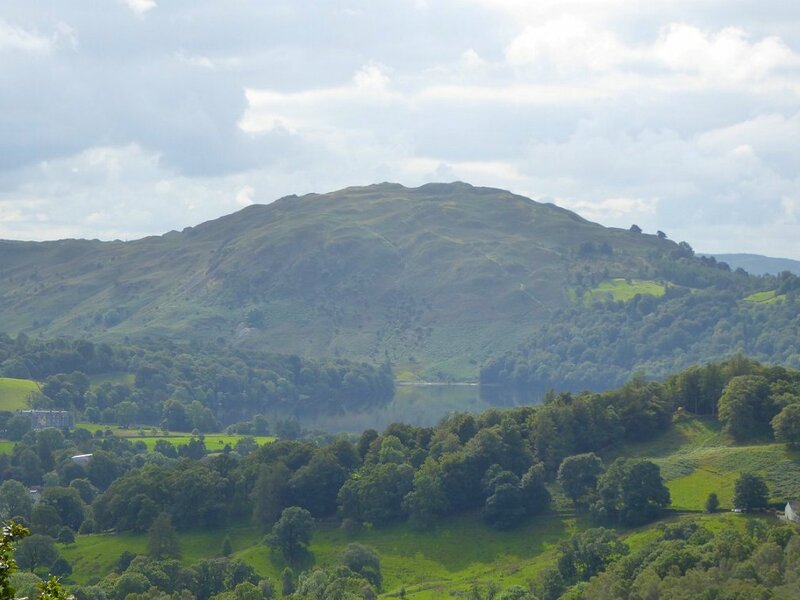 The view eastwards to Seat Sandal, then Fairfield which from this angle looks lower than Great Rigg. 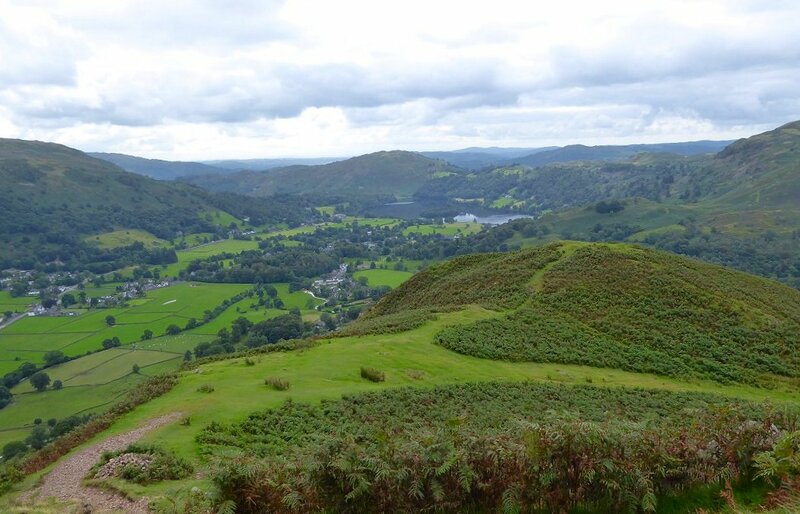 And the view southwards over Grasmere village. 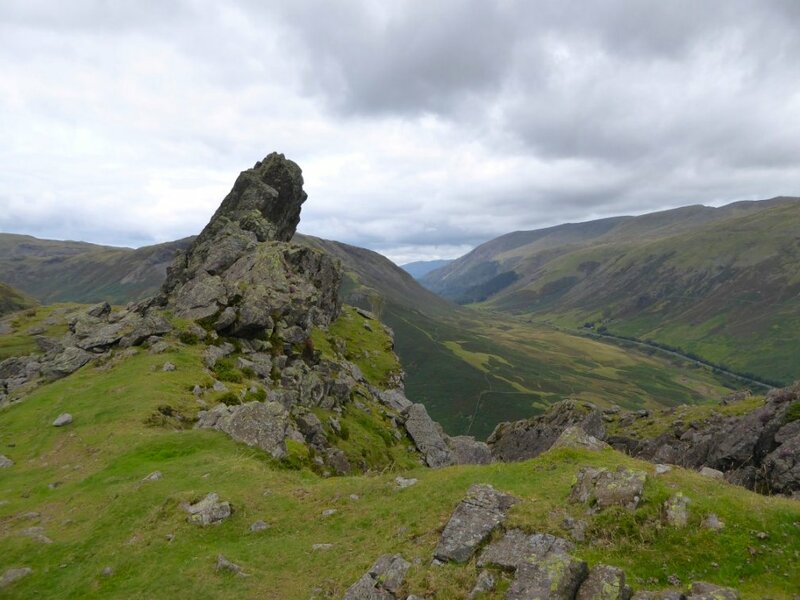 The Howitzer rock on Helm Crag. Sue surveys our return route. Further along the ridge now and another look to the east. 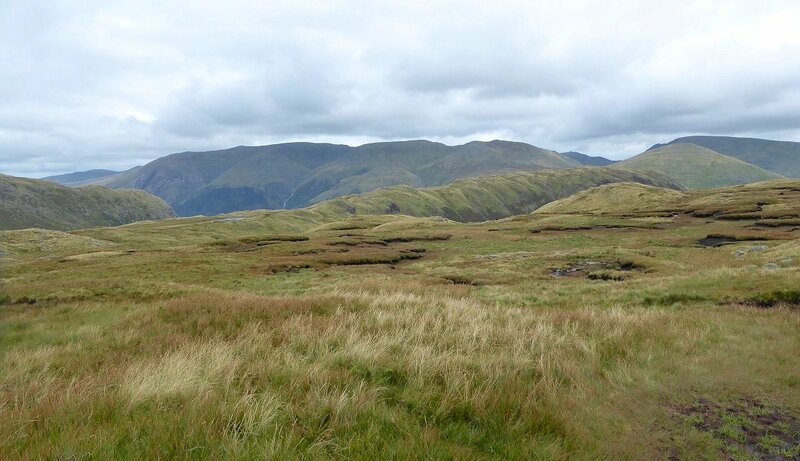 Steel Fell is the long ridge in the foreground then the conical Seat Sandal with Fairfield to the right and Dollywagon and Nethermost to the left. 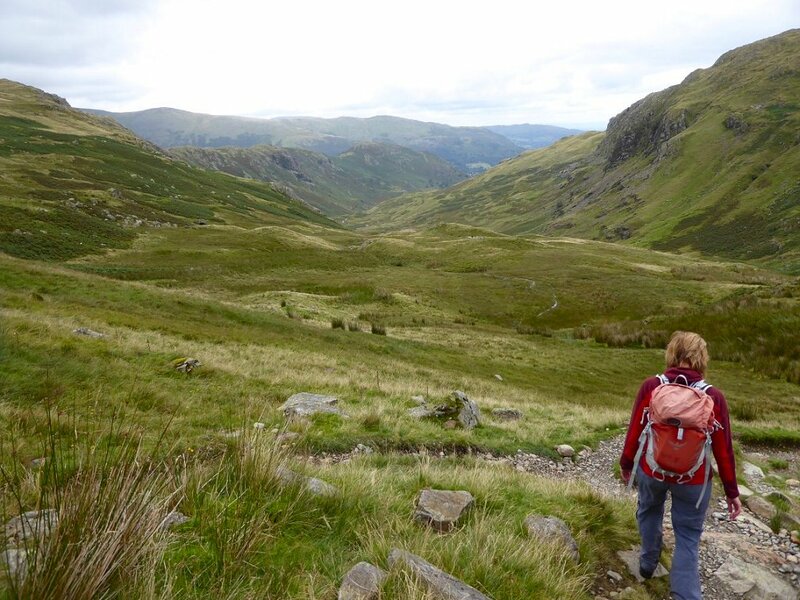 Nearly to Calf Crag now. 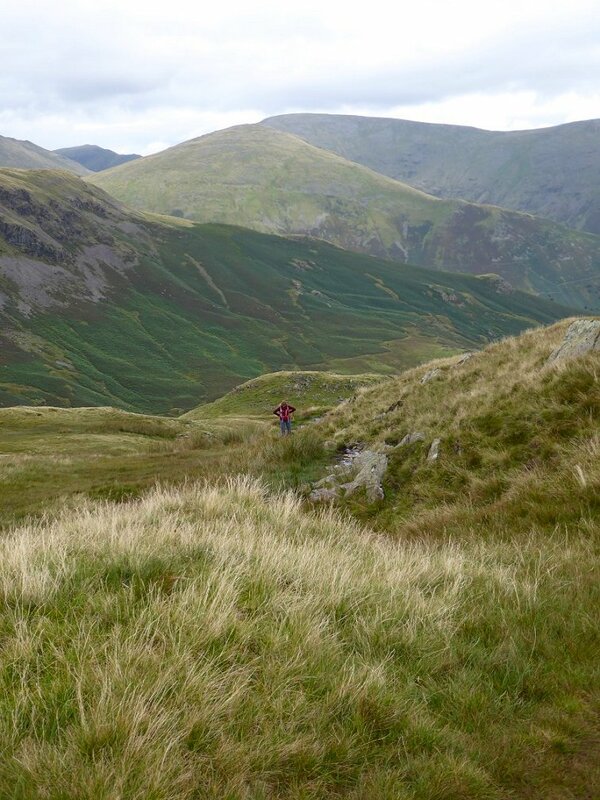 Sue was finding the going a bit difficult due to her bad chest and she thought that the ridge seemed longer than she remembered.. 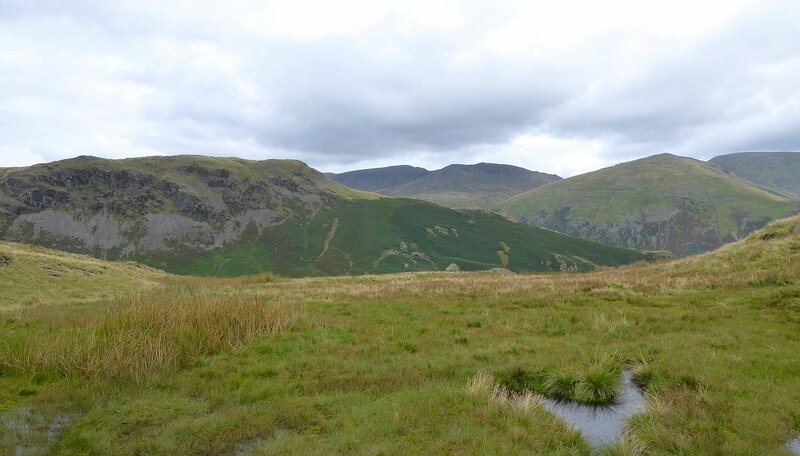 The connecting ridge from Steel Fell with the Helvellyn range beyond.. 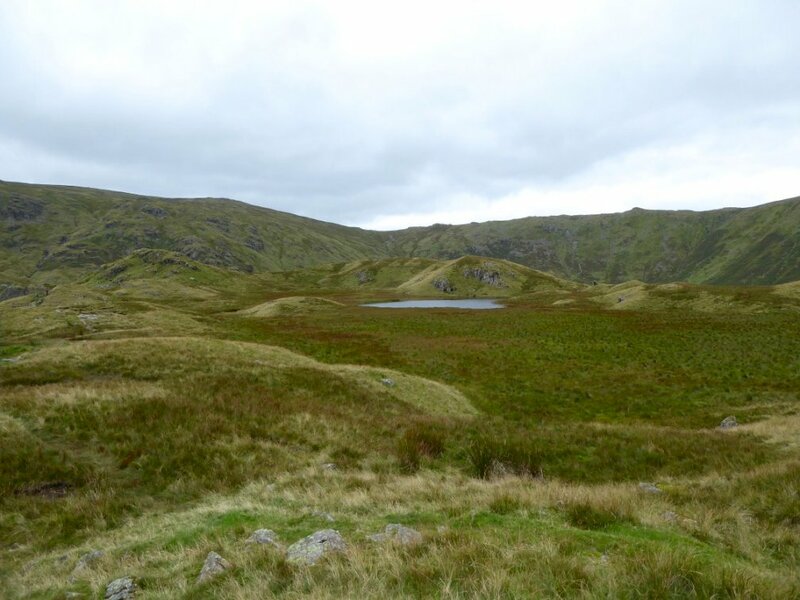 Looking over one of the Brownrigg tarns to Greenup Edge. 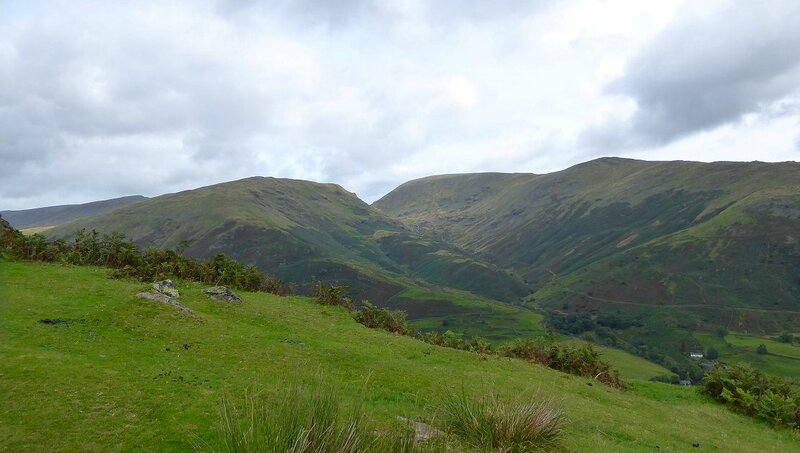 Starting the descent into Far Easedale. 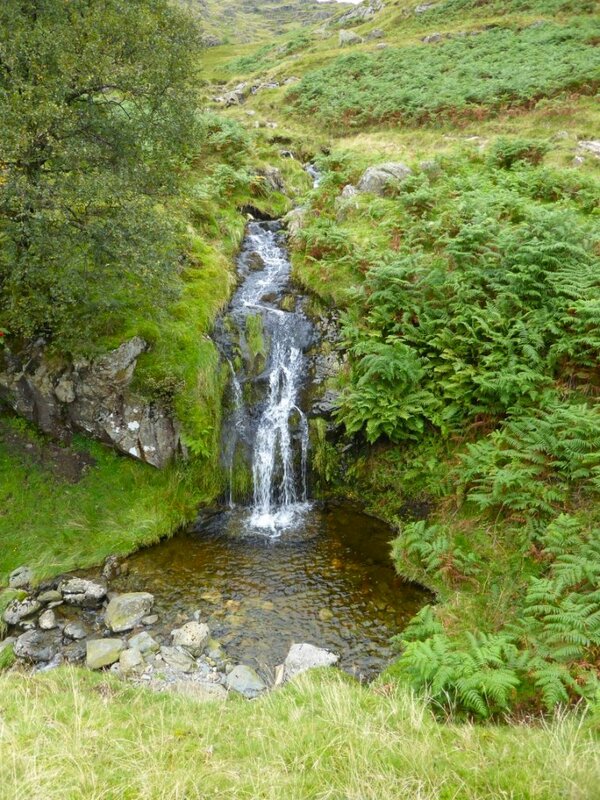 Some very nice falls and pools are passed on the way down. 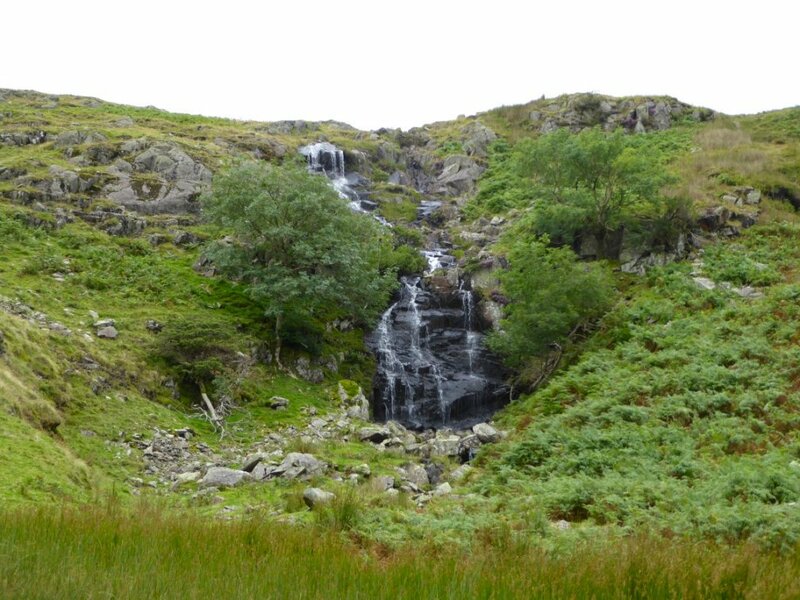 Soon we were near the bottom of the valley and this is looking back to Sourmilk Gill coming down from Easedale Tarn The walk did Sue a power of good and she was passed fit to return to work ;-(.